Peter Carl Fabergé, legendary artist-jeweller and a goldsmith to the Russian Imperial Court, was born in 1846 in a family of goldsmiths. He was educated in St Petersburg and Dresden. After doing his apprenticeship with his goldsmith father, he went to Paris, where he received expert tuition from goldsmiths in France, Germany and England. Because of his superb talents, creative imagination and business instincts, he became the jeweller and goldsmith to the great Russian Imperial Court of Tsar Alexander III and then his son, Tsar Nicholas II and his Empress Alexandra. In those years, he created some of the most exquisite jewels and objets d'art. He soon acquired worldwide reputation, which attracted royalty, nobility, tycoons, industrialists and the artistic intelligentsia of Paris. The Russian Revolution of 1917, not only brought a violent end to the Romanov dynasty but also brought full closure to the business house of Fabergé. The Bolsheviks seized the Fabergé workshops and their treasures, all production was closed down and Peter Carl Fabergé and his family fled from Russia. In spite of this, the noble Fabergé name, still retains its mystique, charisma and awe-inspiring romance. Many of the iconic Fabergé works of art were lost in the revolution and there whereabouts still remain a mystery. Between 1885 and 1916, Peter Carl Fabergé created 50 pieces of objets d'art, that are considered as the artist-goldsmith’s greatest and most enduring achievements. These are popularly known as jewelled Easter eggs. According to Russian Orthodox Church, Easter was considered as the most important occasion every year. There was a centuries old tradition in Russia that at the time of Easter, hand coloured eggs were brought to the Church to be blessed and then presented to friends and family. This tradition led to a custom amongst Russia's noblemen, wherein they gave valuably bejewelled Easter eggs made from gold as presents. 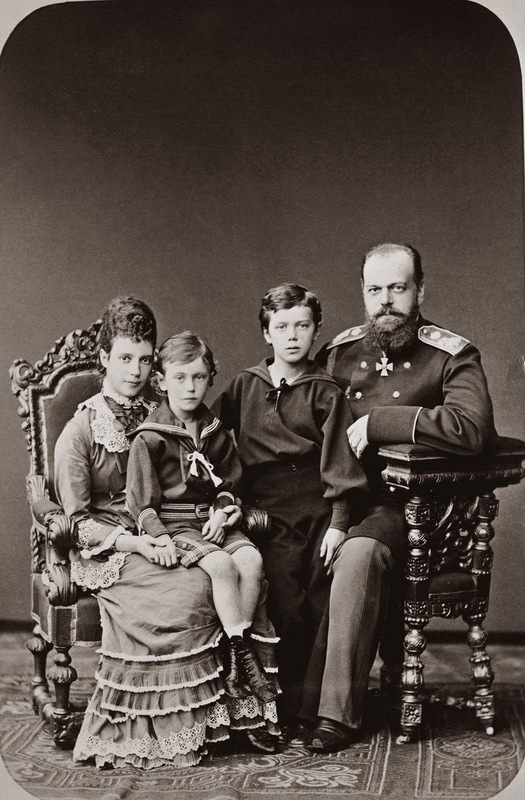 In 1885, Tsar Alexander III decided to give a jewelled Easter egg to his wife Empress Marie Fedorovna, possibly to celebrate the 20th anniversary of their betrothal and entrusted the job to Peter Carl Fabergé. “Each egg, an artistic tour de force, took a year or more to make, involving a team of highly skilled craftsmen, who worked in the greatest secrecy. Fabergé was given complete freedom in the design and execution, with the only prerequisite being that there had to be surprise within each creation. Alexander III presented an egg each year to his wife the Empress Marie Fedorovna and the tradition was continued, from 1895, by his son Nicholas II who presented an egg annually to both his wife the Empress Alexandra Fedorovna and to his mother the Dowager Empress Marie Fedorovna. However, there were no presentations during 1904 and 1905 because of political unrest and the Russo-Japanese War. The most expensive was the 1913 Winter Egg, which was invoiced at 24,600 roubles (then £2,460). Prior to the Great War, a room at Claridges was 10 shillings (50 pence) a night compared to approximately £380 today. Using this yardstick, the egg would have cost £1.87 million in today’s money. I am sure that readers by now must have got a fair idea about the present market value of these Easter eggs. 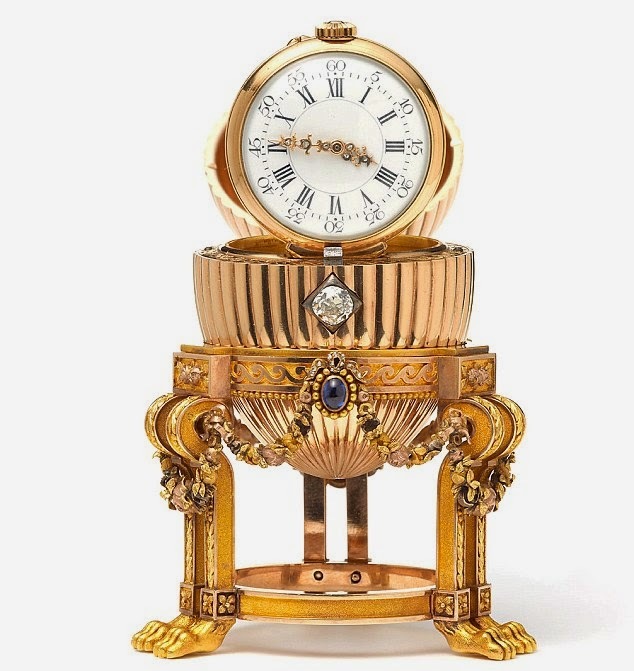 Apparently out of the 50 eggs Fabergé made for the Imperial family from 1885 through to 1916, only 42 have survived and no trace of the balance 8 was ever found. Last week, news media broke a story of an unidentified scrap metal dealer from U.S. Midwest, who bought an egg shaped golden ornament for US$14000, while searching for scrap gold. 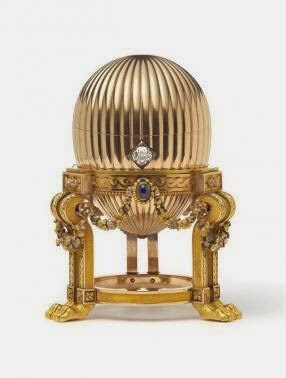 Hoping to make a small profit by selling it to gold dealers, who bought scrap gold for melting, he was thoroughly disappointed when there were no takers as everyone felt that he had overestimated the value of the objet d'art, which had a watch on top and gems tucked inside the egg. In desperation, the man searched the internet and realised that he may have in his hand the egg that Russian Tsar Alexander III had given to his wife, Maria Feodorovna, for Easter in 1887. After making discreet inquiries, the man was directed to London's Wartski antiques dealer, who after seeing a photograph of the ornament, instantly realised that it had to be original. Wartski acquired the egg for an unidentified private collector. The new owner remains unidentified but the price is believed to be around US$ 20 million. The story appears like that of fiction and just unbelievable, but Wartski people say, it happens to be true.